In interior design, one of the core elements is light. Light affects color, pattern and texture in interior spaces. Light, whether direct, filtered or restricted, also plays a big part in outdoor living. Above is a great example of how light affects the color of metal dining chairs and makes them more appealing. 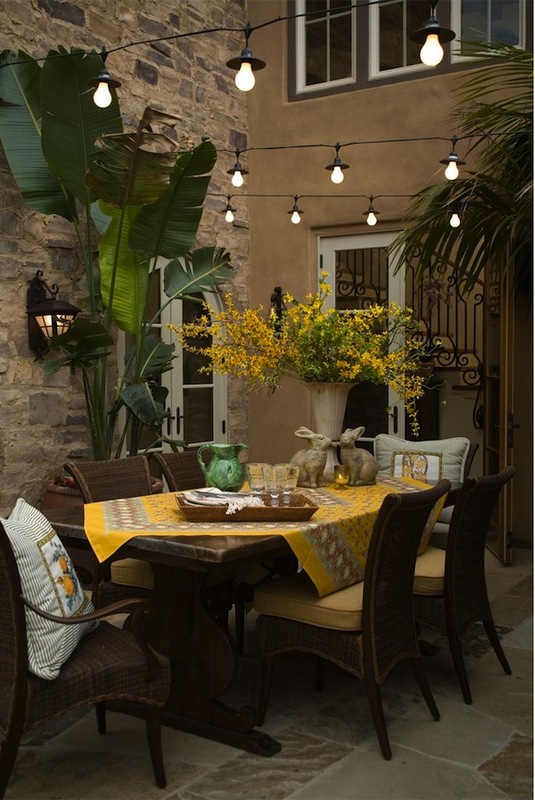 Today, we’re excited to share this and other ways light can be used to enhance outdoor dining rooms. 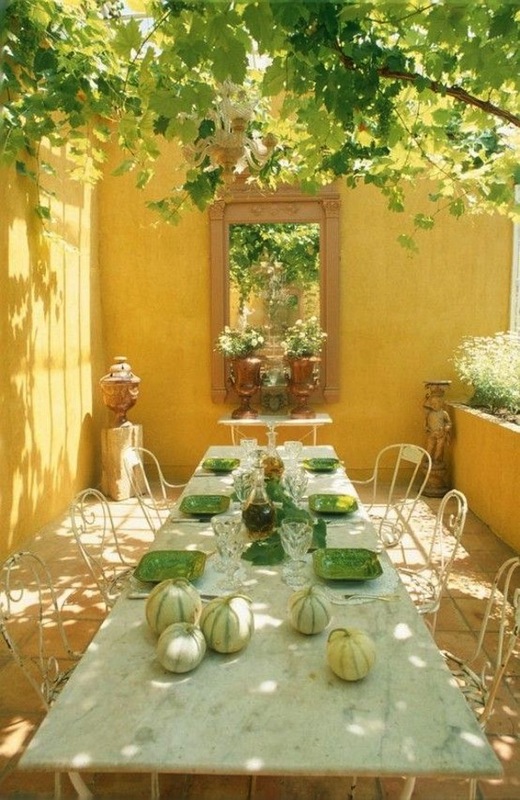 Sunlight turns an enclosed garden into a delightful outdoor dining room. 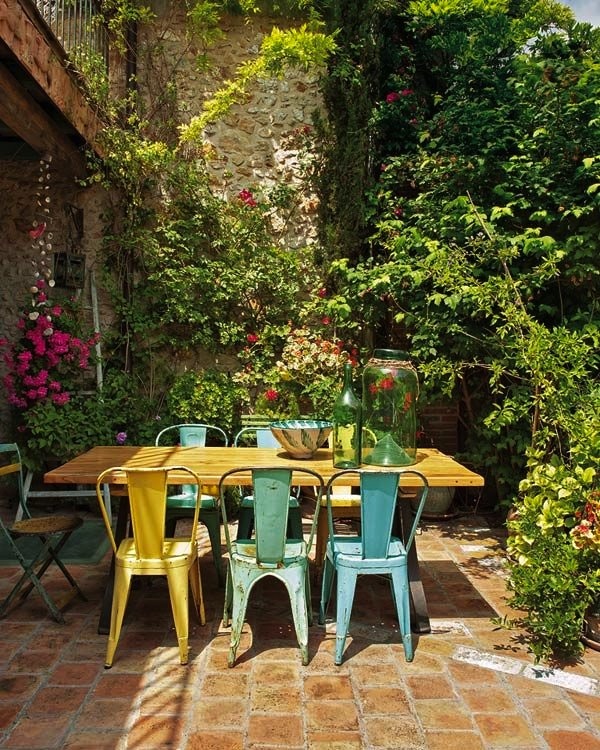 The colorful iron dining chairs are quite enchanting. 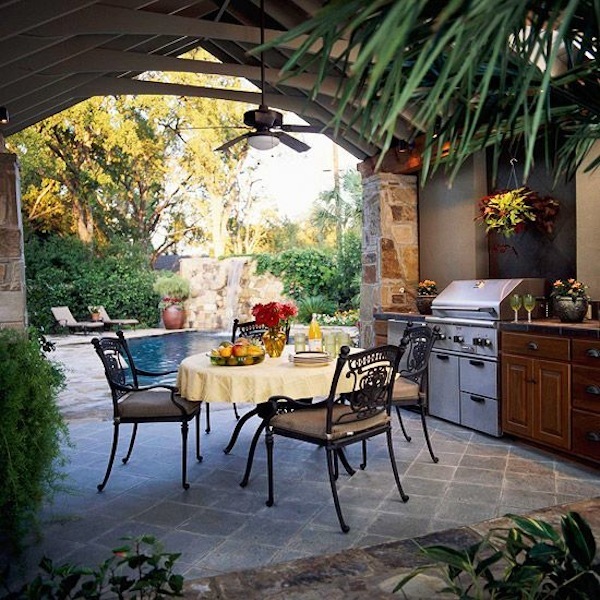 While the sun shines brightly over the pool, this shaded outdoor kitchen and dining space feels cool and inviting. 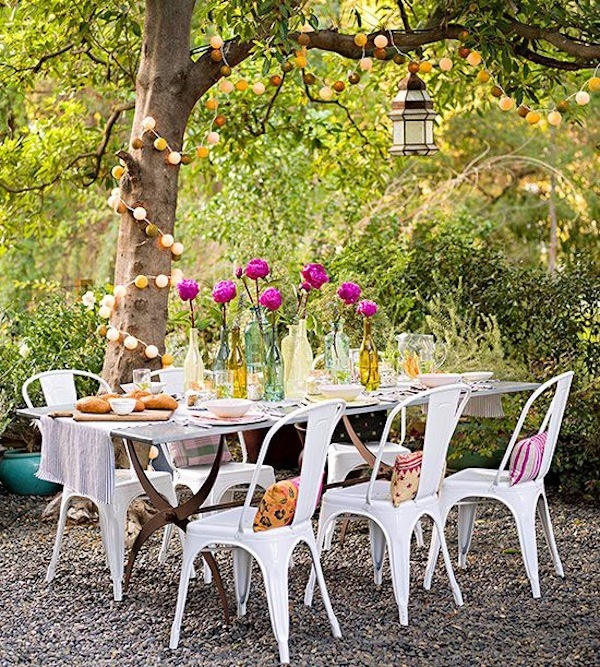 Filtered light is fabulous in this lovely outdoor dining space. 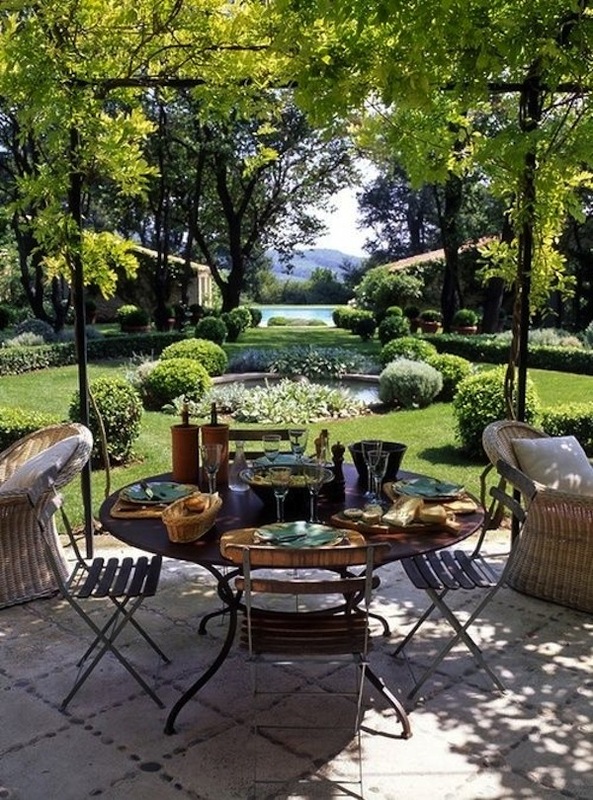 Armless outdoor dining chairs and a metal-topped round table are just right for this beautiful space. A small rooftop deck glows in the afternoon sun. 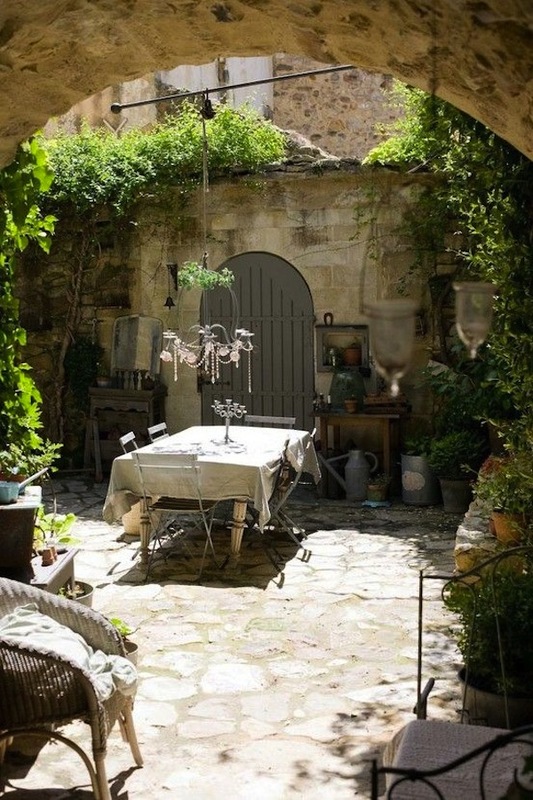 A most inviting dining spot, don’t you think? Filtered sunlight is fantastic in this colorful living space. Iron dining chairs with comfy cushions surround a round glass top wrought iron table–a perfect design choice. 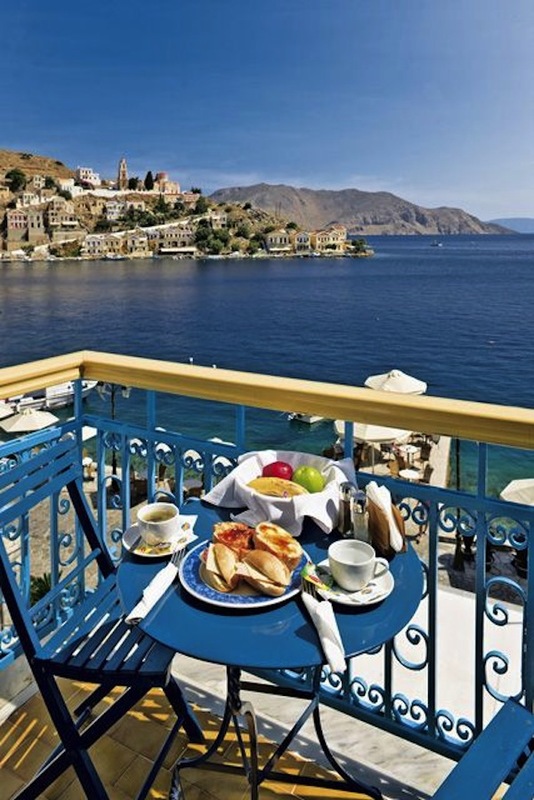 In full sunlight beside a brilliant blue sea, this is a dream dining space come to life. A turquoise rail and bistro set reflects that watery hue. 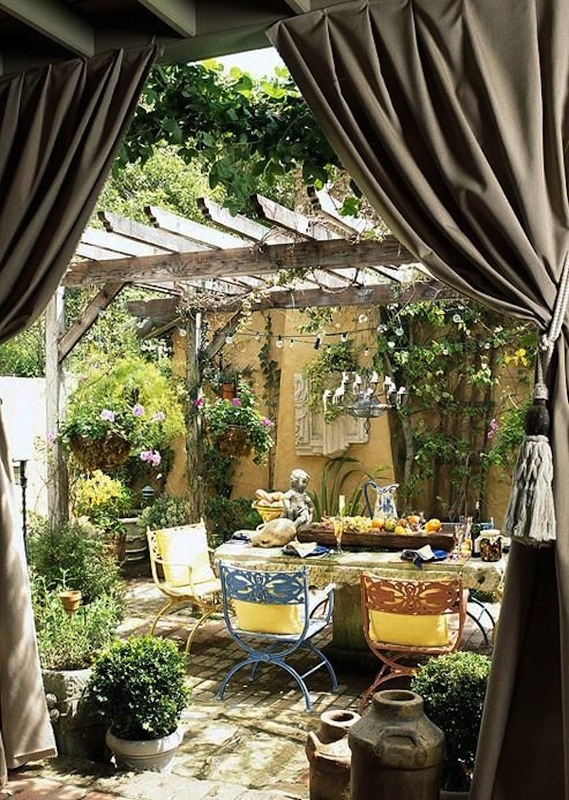 Mostly filtered sunlight turns this enclosed outdoor dining room into a lovely inviting space that will surely be hard to leave. We see lots of coffee and conversation after dinner here. Strings of simple bulb fixtures shed beautiful light on this fabulous outdoor dining room with wood table and awesome woven chairs. A golden yellow table cloth, a tall metal vase overflowing with yellow blooms and fetching bunny sculptures make for an irresistible table setting. Dinner will be served shortly. 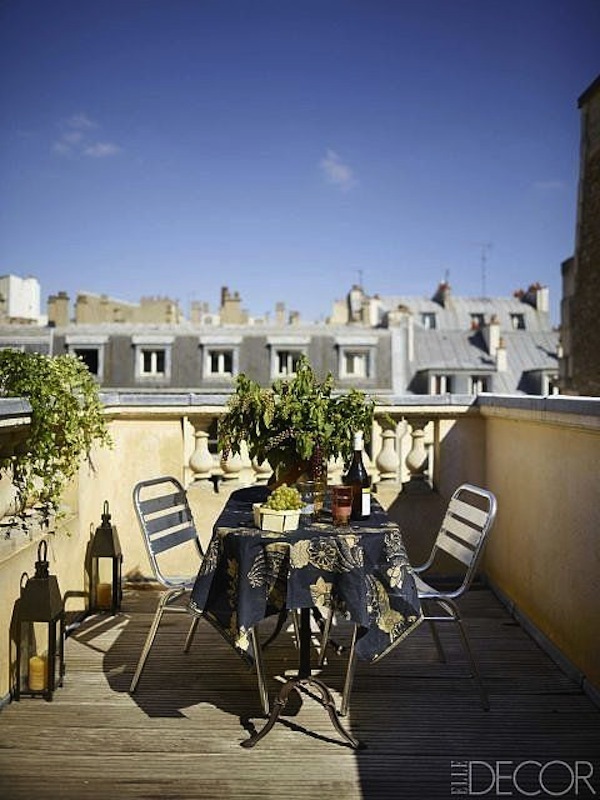 This chic outdoor dining space goes easily from day to night as the sun sets over the city. 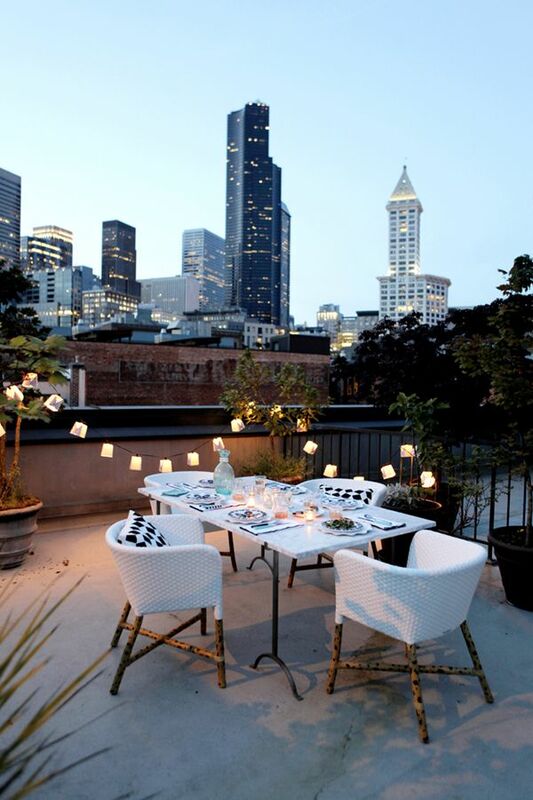 White dining chairs and marble tabletop are beautiful on this rooftop deck. Image Sources: PlaneteDeco.fr; Pinterest.com; BHG.com; NelsonBarnum.com; DigsDigs.com; CocoKelley.com; PopSugar.com.